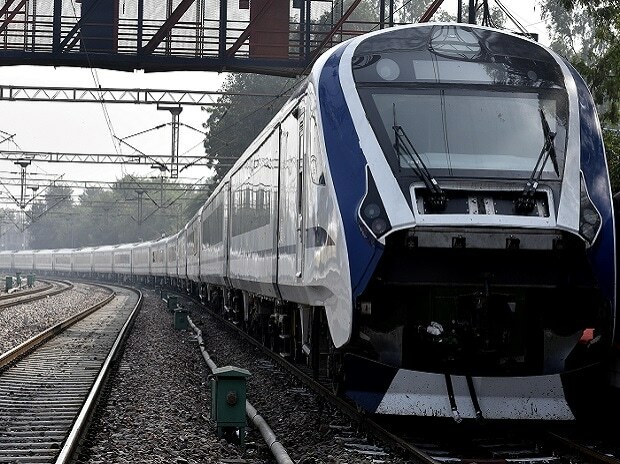 Acknowledging its made-in-India status, the Indian Railways has named the indigenously manufactured Train 18 as Vande Bharat Express, Railway Minister Piyush Goyal said Sunday. The train is set to run between Delhi and Varanasi at a maximum speed of 160kmph. Prime Minister Narendra Modi is likely to flag off the train soon. The 16-coach train, built in 18 months at a cost of Rs 97 crore by the Modern Coach Factory, Rae Bareli, in 18 months, is regarded as a successor to the 30-year-old Shatabdi Express. It’s also the first locomotive-less train in the country. “It is completely made in India and various names were suggested by the general public but we have decided to name it Vande Bharat Express. A gift on the occasion of the Republic Day to people. Will request the prime minister to flag it off,” said Goyal.